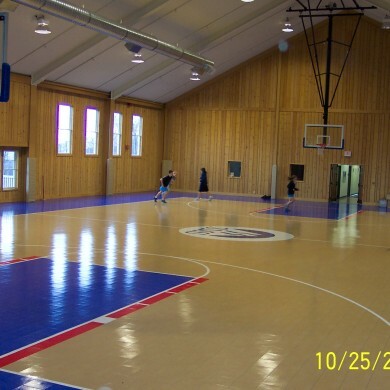 Sport Court at Stratton Mountain School in Stratton Mountain, VT. 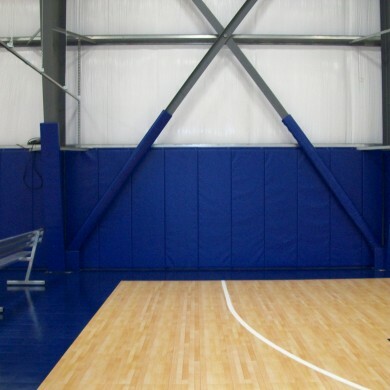 Custom wall padding at Above the Rim’s basketball facility in Hampton, NH. 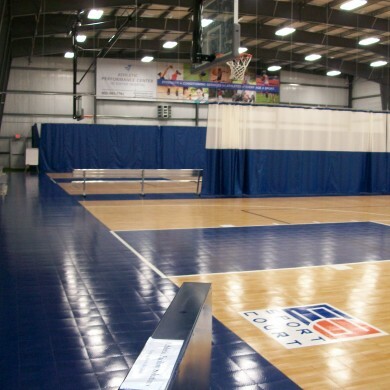 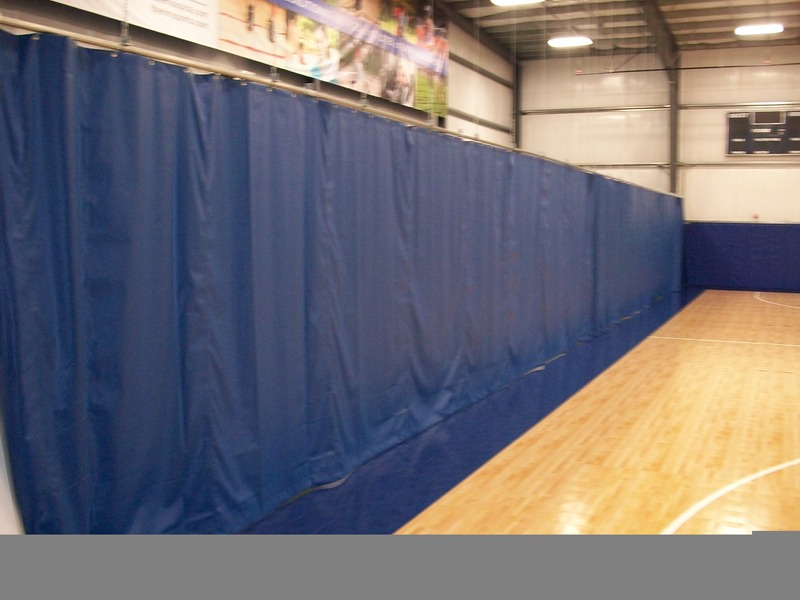 Vinyl curtains (in back) and vinyl mesh curtains on track with Sport Court basketball surface at Above the Rim in Hampton, NH. 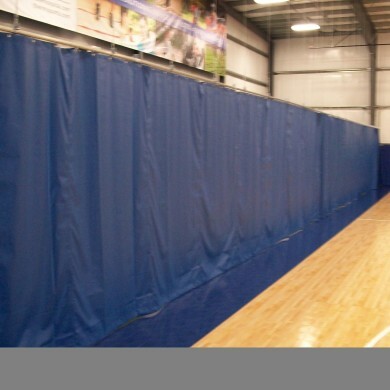 Close up of solid vinyl curtains at Above the Rim in Hampton, NH. 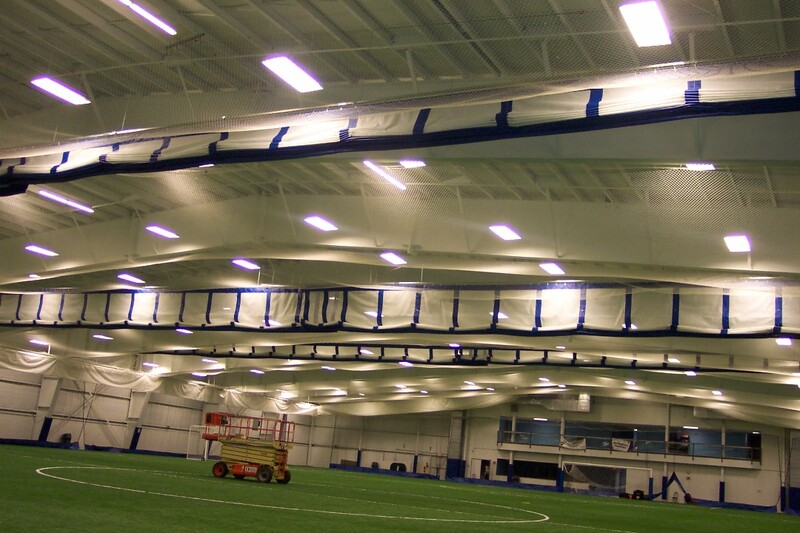 Complete arena construction with ceiling nets, pads, perimeter nets, and three-lift fold curtains at New Hampshire Sportplex. 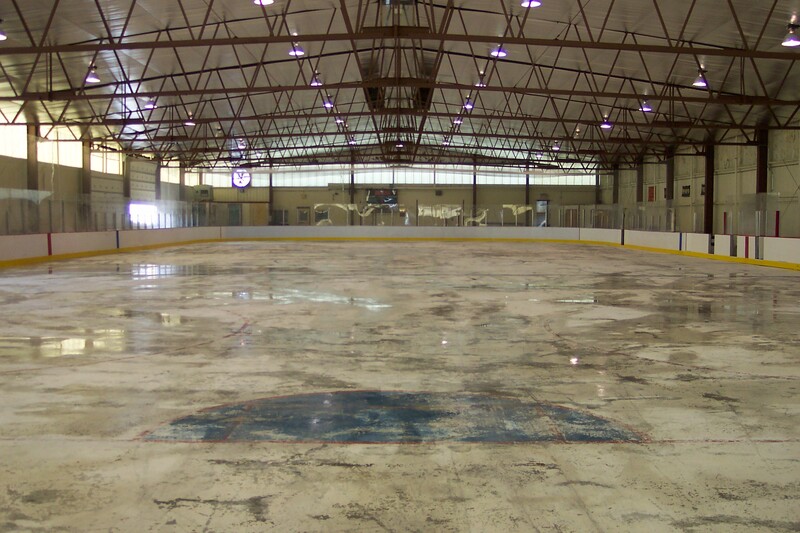 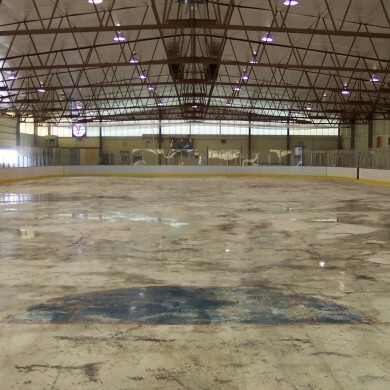 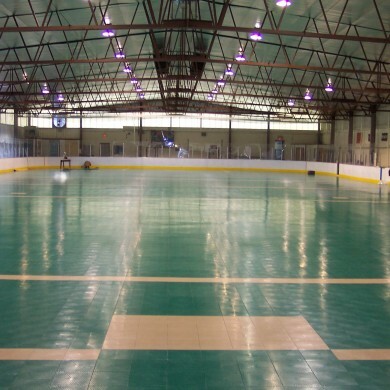 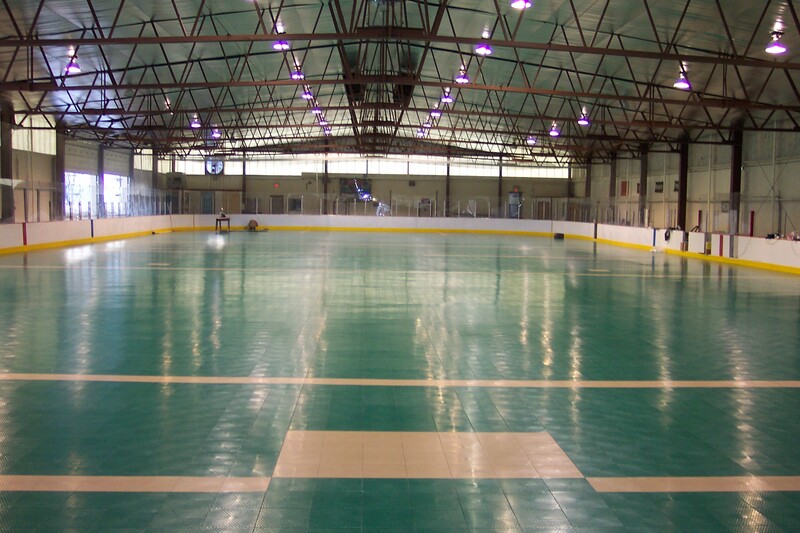 A before photo of the hockey rink at Vermont Academy. 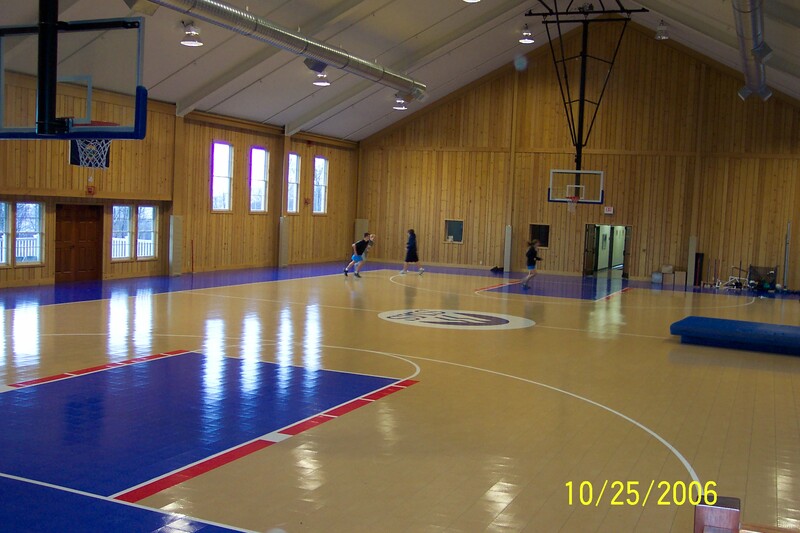 An after photo of the hockey rink converted to a Sport Court multi-sport practice facility. 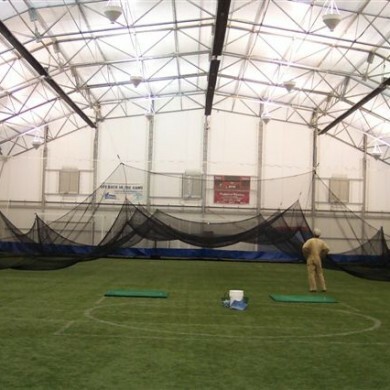 Raising the retractable golf net at the York Sports Center. 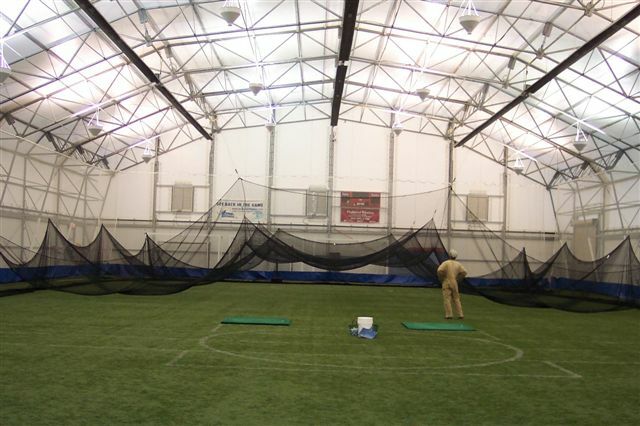 Retractable golf net at the York Sports Center. 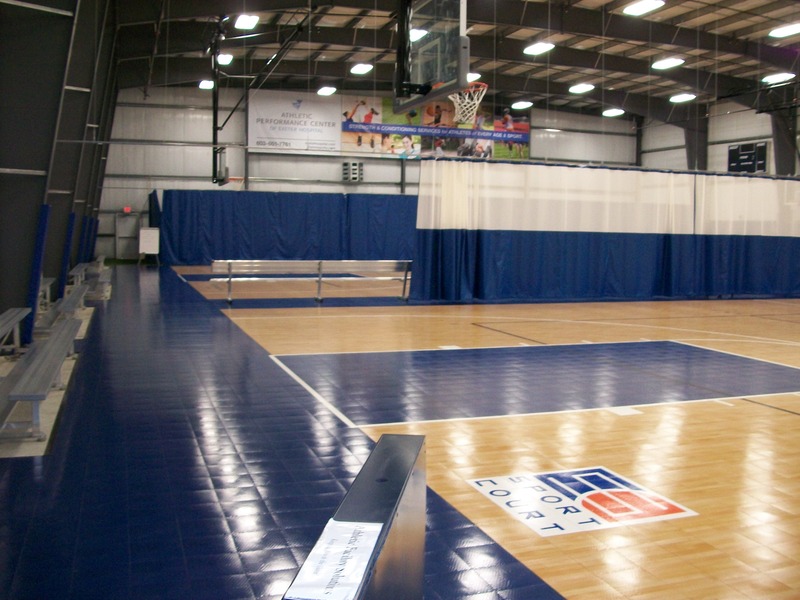 Divider net with Sport Court multi-sport surface at Martin Luther King in Springfield, MA. 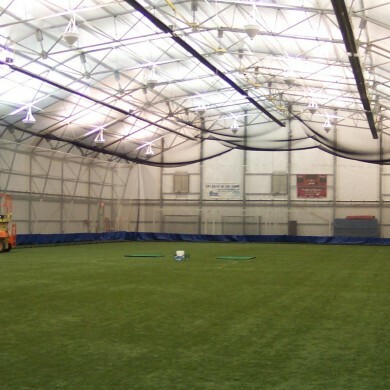 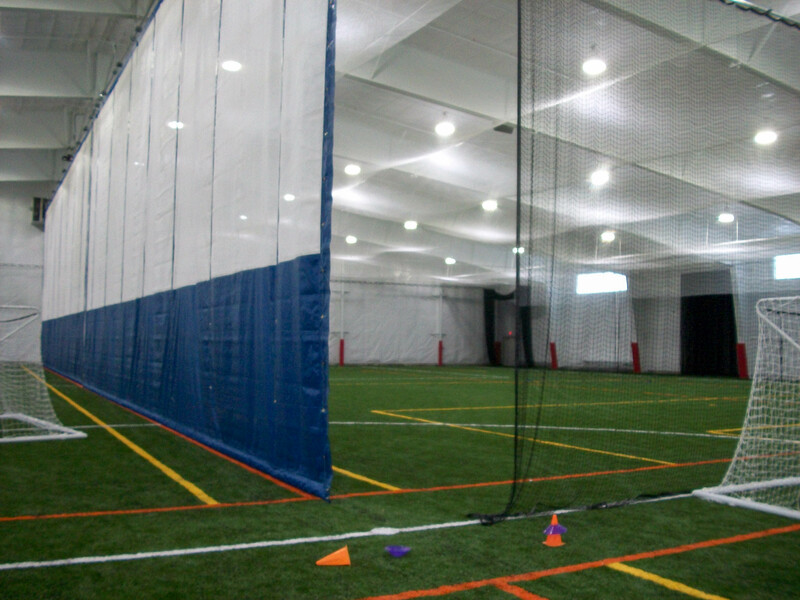 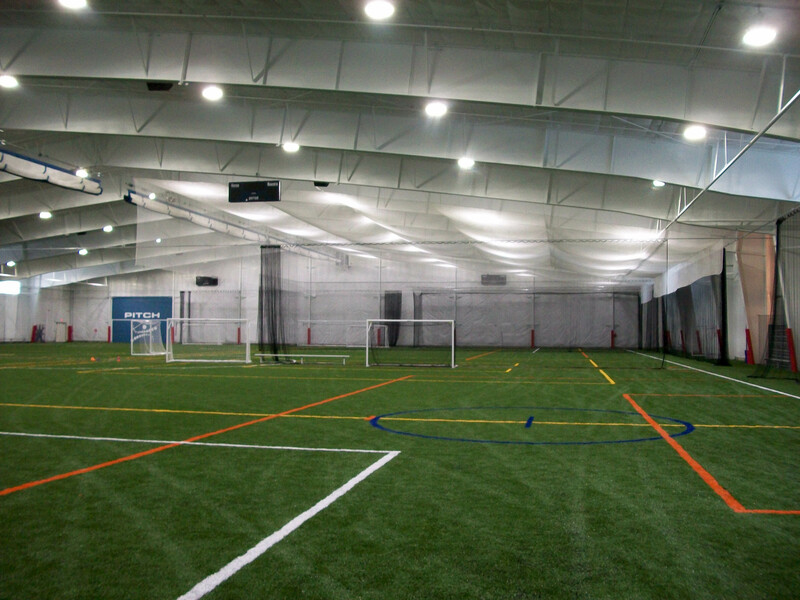 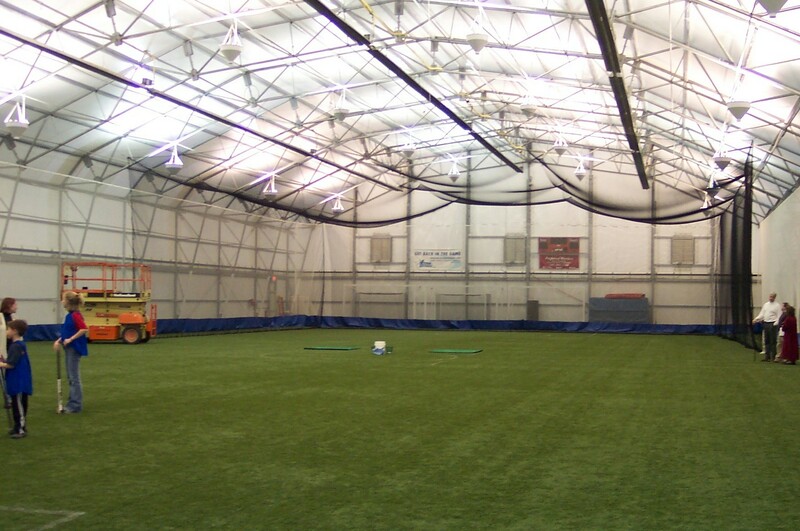 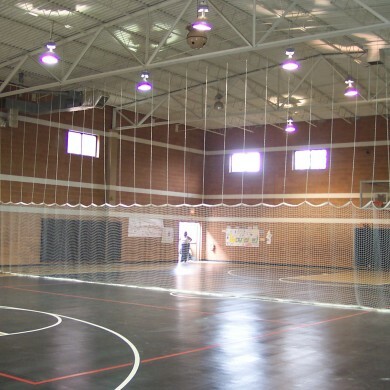 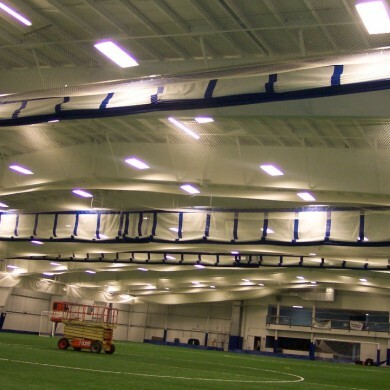 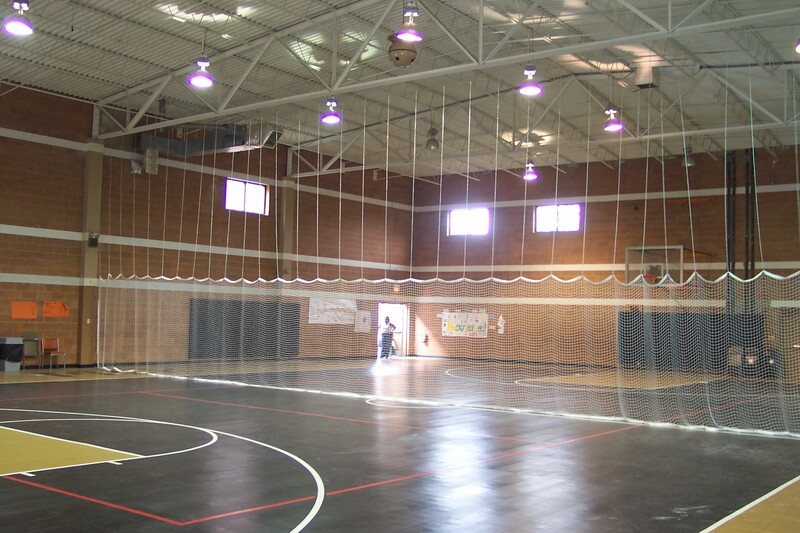 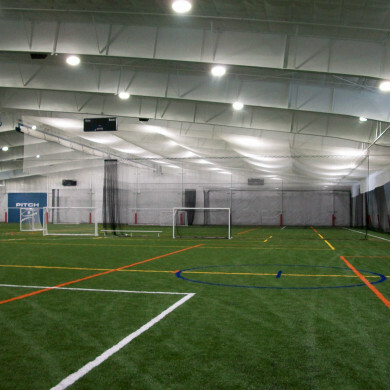 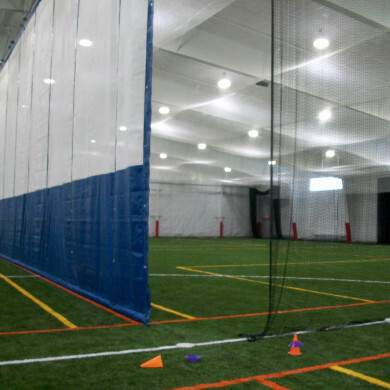 Large, indoor multi-sport arena featuring custom ceiling and perimeter nets, divider curtains and nets, and i beam pads. 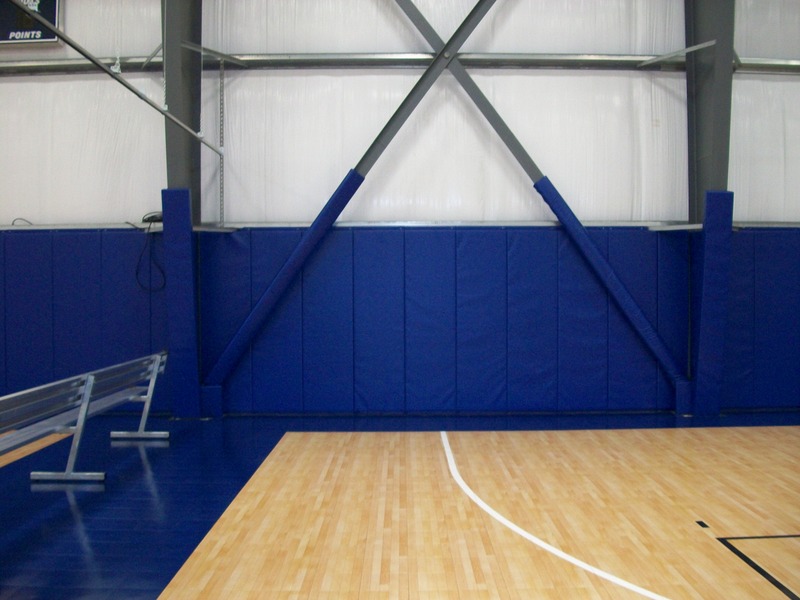 Multi-sport area featuring custom divider curtain and net, ceiling net, and i beam pads.